PIANO BOARD Rentals Ft. Collins CO, Where to Rent PIANO BOARD in Ft. Collins, Wellington, Greeley, LaPorte, Loveland, Windsor CO and all of Northern Colorado. For safe easy moving of pianos, Grands, baby Grands, spinets, & uprights. 2 straps included with a rachet & e-Track latches to the board. 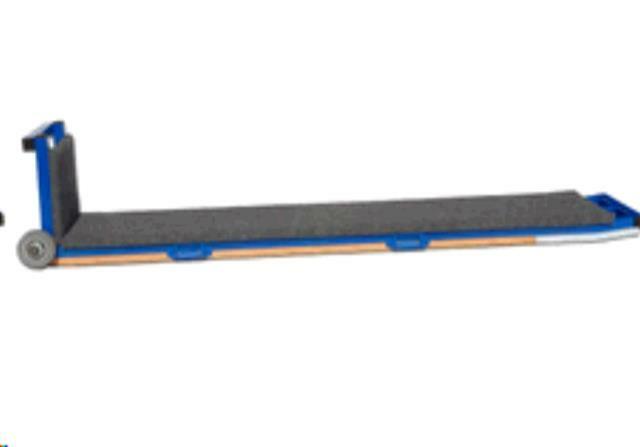 The PME Skid Board is a staple for any mover who is serious about moving grand pianos. The design was cultivated over many years of moving grand pianos. a board that made the job easier and safer. There are wheels on the board so you can roll the piano (or other load) to or away from a flight of stairs. Secondly they turned up the nose of the board so that it glides over steps and is not stopped by uneven staircases. The skid board is made with steel frames, oak and nylon skids (replaceable), and handles that are steel (not stapled straps). These innovative features gives you a durable board that will not break and truly serve the need of the professional or amateur mover. * Please call us for any questions on our piano board rentals in Fort Collins, Wellington, Greeley, LaPorte, Loveland, Windsor CO and all of Northern Colorado.